Some 250 Olim (new immigrants) from war-torn Ukraine landed in Israel on Monday, the latest group of Ukrainian Jews to make the Jewish State their home with the support of the International Fellowship of Christians and Jews (ICFJ). Vira Sviatska, from Kharkov, said that she and many others had lived in constant fear. “I know stories of young men that have perished in the conflict. Some of our acquaintances have also participated in the conflict and some of them didn’t return home,” she shared. Volodymyr Zezehov and his wife Valentina provided a similar account of Donetsk. “Mines and shrapnel were fired at any random part of the city. We were forced to seek shelter in the improvised bombing shelters on a regular basis. The truth is that this war is still ongoing and therefore we constantly live with a fear of the renewed combat activities,” they said. Help GOD TV build playgrounds for Israel’s underprivileged children! Click HERE! The ICFJ has been working in recent years to facilitate the Aliyah of Jews whose lives have been devastated as a result of the ongoing conflict in eastern Ukraine between the Ukrainian government and pro-Russian separatists. The loss of hope for a future in Ukraine was a factor that influenced many of the Olim in their decision to move to Israel, while others fulfilled a dream to reunite with family members already living in the Jewish State. The Tryhub family of six from Voznesensk were motivated by ideology. “The most important reason for us to move to Israel is the understanding that all the Jews are supposed to live in the country of their own,” the family said. “Fortunately, more and more immigrants are voting with their feet and choosing to immigrate to Israel through us,” Rabbi Eckstein remarked. 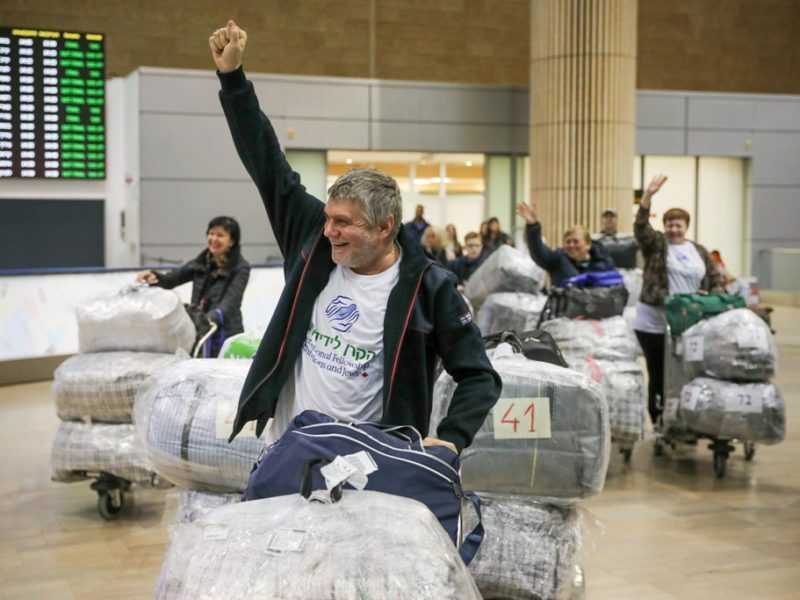 For some two decades, the IFCJ has been helping Jews to make Aliyah and has invested more than $200 million in bringing approximately 750,000 Olim to Israel from 29 countries around the world. The Olim receive comprehensive assistance from The Fellowship, including special grants and help in their acclimation in their new home in Israel.